I'm not so good at blowing the DG trumpet but here goes: it's really just a bit of fun, but over the years I've met some exceptional people and realised that quite often the best music being made isn't on the shelves in HMV, or playing on any radio station I can find, but it's happening on bedroom floors and in basements around the world. I always love the hiss and fluffed notes of the Dylan bootlegs or the Beatles' Anthology series - the songs we feature are from the same back garden... real people, living real lives, and singing their guts out just for their love of making music or expressing themselves. You can't really argue with that, can you? This is a revolutionary time for music... before you had to hand-make tapes and give them to your friends, now you're a couple of clicks away from a genuine global community of people who are eerily like yourself, daydreaming the same daydream. It's good to be a little part of it. Amen to that, it is indeed. 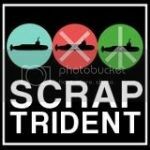 When you visit the Daydream Generation website there's such an embarrasment of riches it's difficult to know where to start. Luckily for you, The Streetlamp is here to give you a little helping hand. 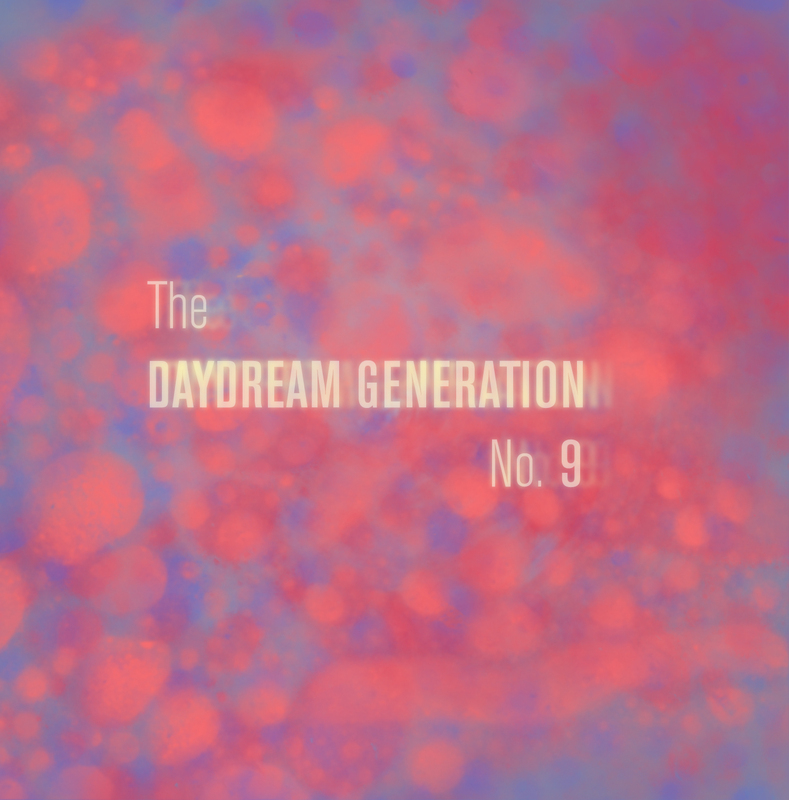 The Daydream Generation compilations are a regular feature from Quixodelic Records and give them a chance to showcase songs from both new and existing artists. 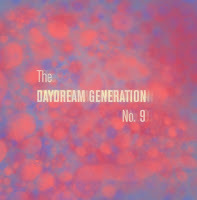 This week sees the release of Daydream Generation No. 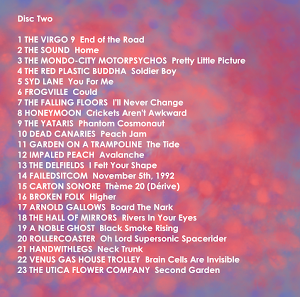 9, a huge undertaking which provides 45 songs over two discs. 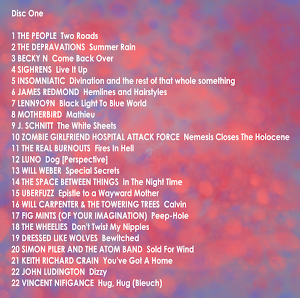 I must admit at this point that I have a little inside interest in this compilation as it features a song by sighrens. However, leaving that aside I can genuinely say that the variety and quality of music across both discs is astonishing. Last week I asked Smally to send me his two favourite songs off the compilation so that we could feature them on the site. He responded with much uhmming and aaahing and a story of how he couldn't possibly pick just two. I suspected at the time that he was merely being diplomatic and so I downloaded the compilation and set to some serious listening myself. Almost immediately I saw that he was simply being truthful. Song after song on both discs jumped out at me as a possible candidate for the Streetlamp video treatment. 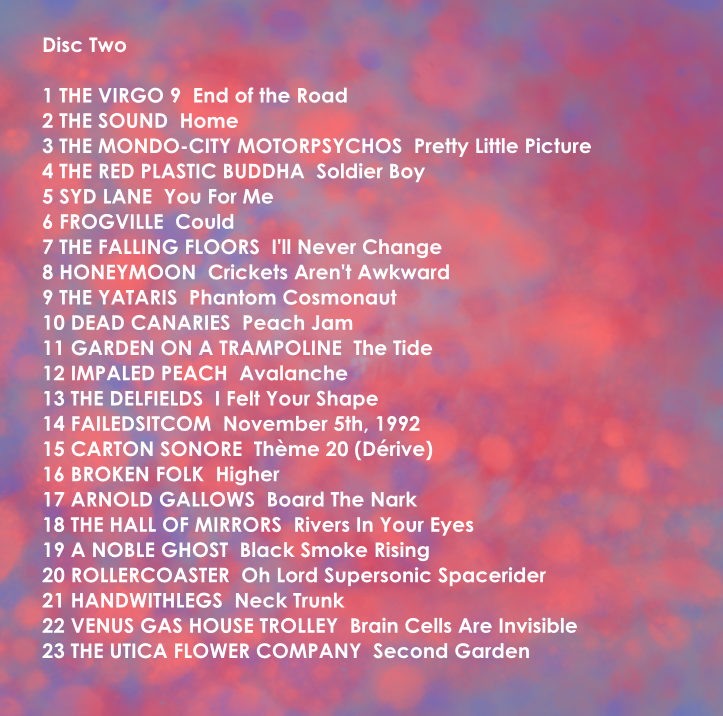 Each time I picked out a favourite track another song would come along and supplant it. 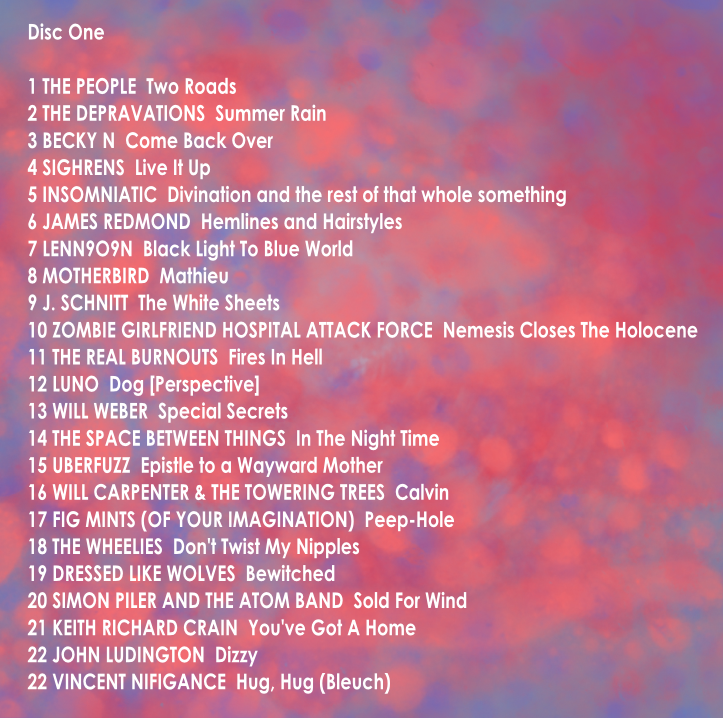 In the end, thoroughly confused but mightily entertained, I picked one song from each disc virtually at random and I hope that they'll serve to give you a very slight taster of what's on offer on this compilation. After you've heard them go download the complete compilation 'here'. Enjoy! That youtube video of me is hilarious. Dig the article! I'm gonna have to check in here often!